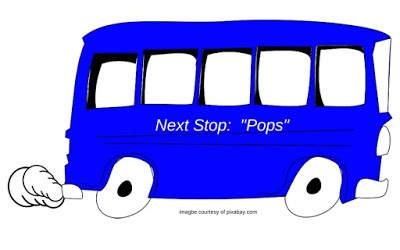 No one has called me “Pops” to my face yet, but it’s only a matter of time. The line is from “The End” by The Doors, Jim Morrison, vocals. Many have interpreted it as an allusion to oxymorphone, a street drug in the late ’60s. I refrained from digging myself in deeper, but I swear the grey in my goatee was greyer when I looked at the mirror that night. The world of entertainment was expanding rapidly in my formative years, the ’70s and ’80s. I became a pop culture absorber and regurgitator, and today pop references make up a huge part of my small talk and humor repertoire. Mine was the first generation to have cable TV as a common fixture in our living rooms, bedrooms if our folks had cash. We watched new episodes and reruns of shows like M*A*S*H, Barney Miller and Cheers repeatedly and could – still can – quote them line for line. “Video Killed the Radio Star” launched MTV on Aug. 1, 1981, and when we got home late on Friday nights, we’d flip between that and Friday Night Videos. “Fish Heads,” a warped visual representation of a Barnes & Barnes song, was my favorite. Don’t even ask. VCRs changed how small-town teens killed time and added an entirely new dimension to dimly lit rec rooms. Pretty soon we could quote movies like “The Breakfast Club,” “Caddy Shack” and “First Blood” line for line, too. And so it went, through the’80s and the ’90s, on into the oh-ohs (That didn’t really catch on, did it? Makes for a great pop reference, though. ), right up to the twenty-teens, aka the ever-present present. And here I am, face-to-face with generational angst. My pop references have become “Pops” references. Dare to share at a situationally appropriate moment – “Where’s the beef!” – and I find myself looking into bewildered or, worse yet, smirking faces. I can’t blame them. They were only 7 or 8 years old in 1999. They might have partied, but the beverage of choice was a yummy mix of 7-Up and rainbow sherbet. 7-Up? Isn’t that something you only drink when you have an upset stomach, Pops? Hit me with a Red Bull, will ya? Make air quotes around a spoken word like you’re Bennett Brauer (Chris Farley) in the hilarious Saturday Night Live sketch – “So I don’t (air quote) shower (air quote) on a regular basis…” – and you’ll be disappointed. No way they’d ever get “Flah!” That’s an homage to what is, in my opinion, the funniest movie scene of all time. It’s from 1968’s “The Odd Couple.” Felix (Jack Lemmon) is in a restaurant with Oscar (Walter Matthau), and Felix starts making an obnoxious noise – “Flah!” – in an attempt to clear his sinuses. Loudly. In public. Over and over again. It’s gut-busting. The film came out the year I was born, but like I said, reruns and VCRs…. Even 1990s Seinfeld references fall flat. “Question is, are you master of your domain?” “Not that there’s anything wrong with that.” and “It. Out.” mean absolutely nothing to a 20-something in his first professional position, but let one of them fly at the right moment and my wife, Cassi, and I will be near tears. I always wish she was with me to share the laugh when I recognize one of my favorite ’80s pop songs, Muzak-ized, coming through grocery store speakers. See, it really takes just one. (That’s another Pops reference, this one from “City Slickers,” when Curly (Jack Palance) holds up his gloved index finger and tells Mitch (Billy Crystal) that the secret to life is “One thing. Just one thing.”) What I mean is it just takes one person to understand where you’re coming from, put up with your pathetic puns and generally let you by with your crotchety crap. From time to time Cassi and I even go back and forth with references to – gasp – novels. I admit, a list of present-day references I don’t get would go on longer than a ’70s hits collection. Which, by the way, I listen to often. So. Middle-aged people these days…. Pops? At 48, I have to say no, not just yet, but I truly is only a matter of time. When the loafer finally fits, I’ll slip into it without argument. Just don’t be surprised to hear a contextually relevant sitcom line while I’m at it. Previous Previous post: Carson Wentz – “The Dakota Kid”?